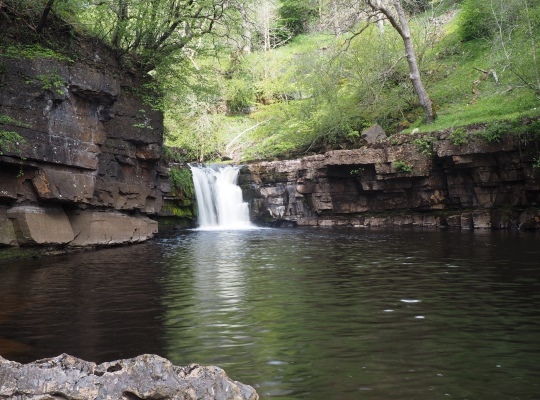 Kisdon Force is the name of two waterfalls, an upper and lower force, that can be found on the River Swale, just downstream of the village of Keld. 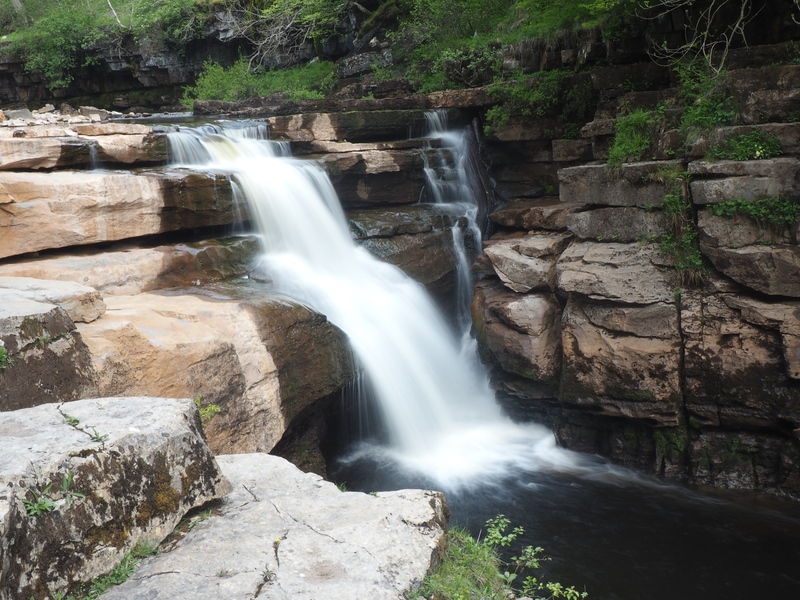 The pair of waterfalls can be accessed by a path signposted from the Pennine Way. 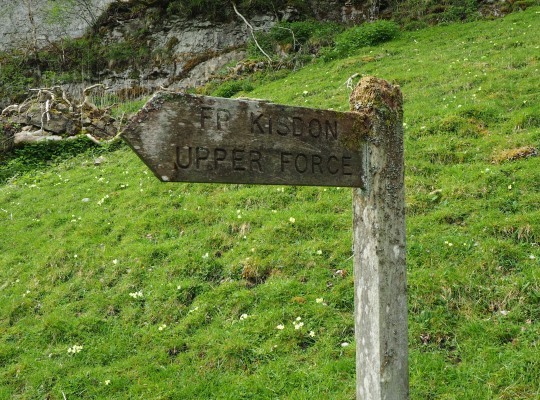 It is an interesting little path passing mossy boulders and a limestone scar with a detached pinnacle. In the springtime it is particularly colourful with a variety of wildflowers including bluebells, primroses, violets, forget-me-nots and wild garlic. The final drop down to the side of the waterfall is quite steep and slippery, even in dry conditions. It is perhaps not surprising that a rope has been fastened alongside one access point. A more roundabout path, still quite steep continues above the waterfall before circling round to the south. Either way care needs to be taken! 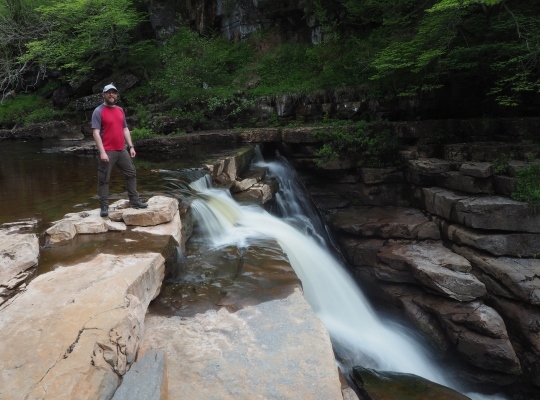 The upper waterfall at Kisdon Force is quite a modest affair, especially compared to the lower falls which are quite spectacular, even more so I’d imagine after a lot of rain. I visited it after a dry spell and even then it was very impressive.